Now that January is over and everyone has gotten in the groove of 2019, there seems to be fewer Challenges and Inspirations for our artistic endeavors. Personally, I'm still trying to finish up the challenge list from the Allegory Gallery Design Challenges Facebook Group. Though intended for January, it's a great list to inspire you any time of the year. Now that it is a new month, though, there are new challenges before us. The earliest reveal every month is the We're All Ears challenge from Earrings Everyday. The theme this month is Frozen with a reveal date of February 15th. Next up is the Honey Do List Challenge from SJ Designs Jewelry. The inspiration photo from Sarajo's husband, Eric, is of a Nuthatch (bird) on a limb. She's set the reveal date as February 25th. The February theme from Art Elements is Birds of Prey. Remember that this challenge is open to any medium, but you need to let them know if you plan to participate so that you can be included in the hop. 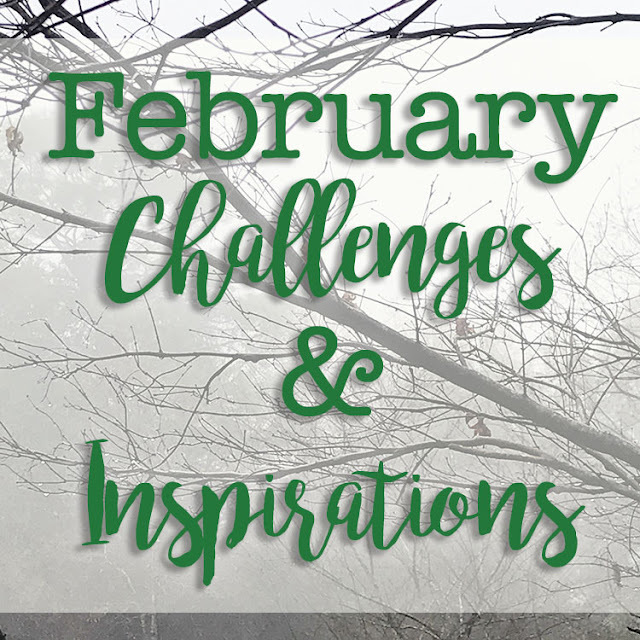 February 28th is the date set for the blog hop. Art Bead Scene has begun offering challenges again. The last day for their first challenge is today, but I'll be sure to post the second challenge just as soon as they share the art prompt. UPDATE! : Art Journey #2 has been posted. Check out the artwork inspiration of Virginia Frances Sterrett and make something beautiful. The deadline is March 23. ADDED: Each month at Wonder and Whimsy, she gives herself a challenge to complete. For the first time (that I've ever noticed), the challenge is open to other participants with a February 22nd reveal date. Just let her know so she can add your link on reveal day. And, that's it so far this month. If I've missed any challenges, please don't hesitate to let me know in the comments. Have an inspired month!